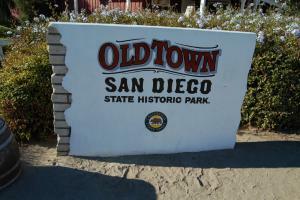 Old Town San Diego is an area rich in history for the San Diego County area and California as a whole. Missionaries would make there stop here in San Diego while making their way up the California coast to establish missions when California was first being discovered by Europeans. Nestled among communities and neighborhoods like Morena, Mission Hills, Sports Arena, Mission Valley and Sea World, Old Town is still a vital tourist attraction and favorite spot for locals seeking a margarita and culture.